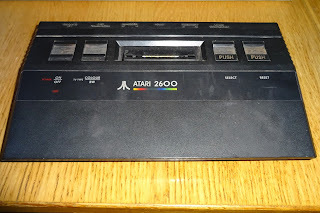 Following the Atari 2600 Composite Video Modification article last week, I've been asked if the same thing can be done on the Atari 2600 Junior? 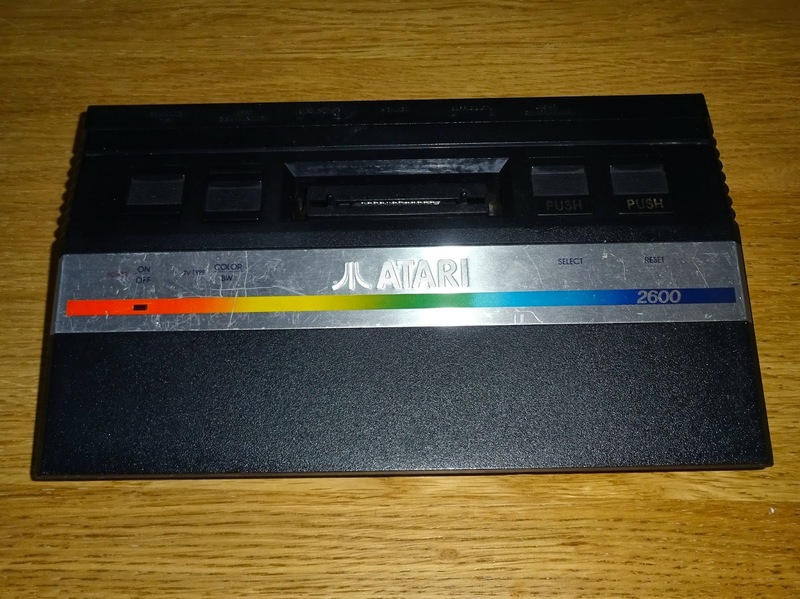 The answer is yes, although very different in size and appearance to the original Atari 2600, the Atari 2600 Jr uses mainly the same parts, laid out a little differently. It's all on one board, the sockets and switches that were on the larger board on the 2600 are visible here, the interesting stuff is all under the metal shield. The two momentary switches (game select and reset are now on a membrane connection on the top of the case. 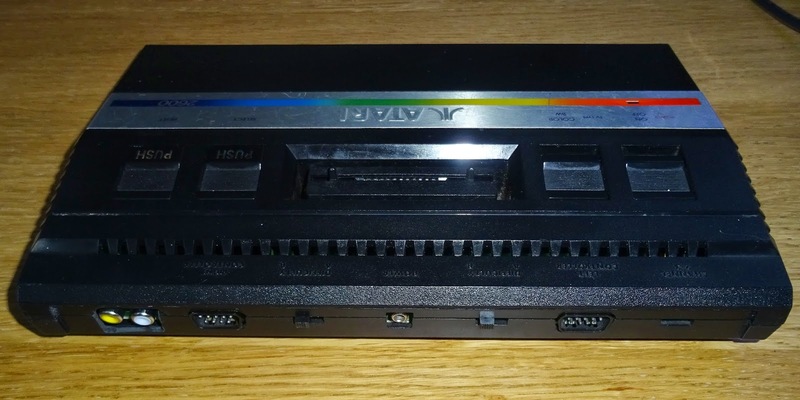 The power and 'TV type' select are on the left (still don't know why people needed frequent access to change the type of TV they owned in 1989). 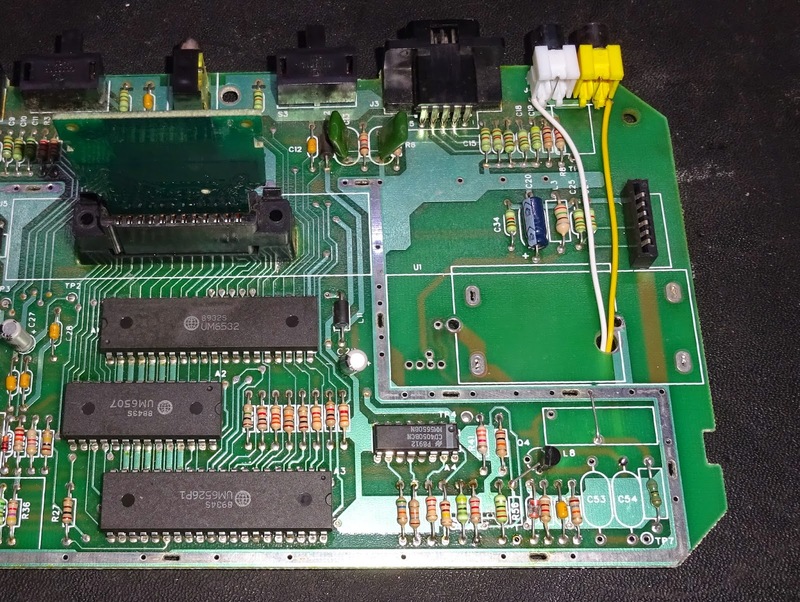 Here are the same three main chips as the 2600, and the 4050 buffer used to improve the mixing of the video signal (which was missing in some of the 4 switch 2600 versions). 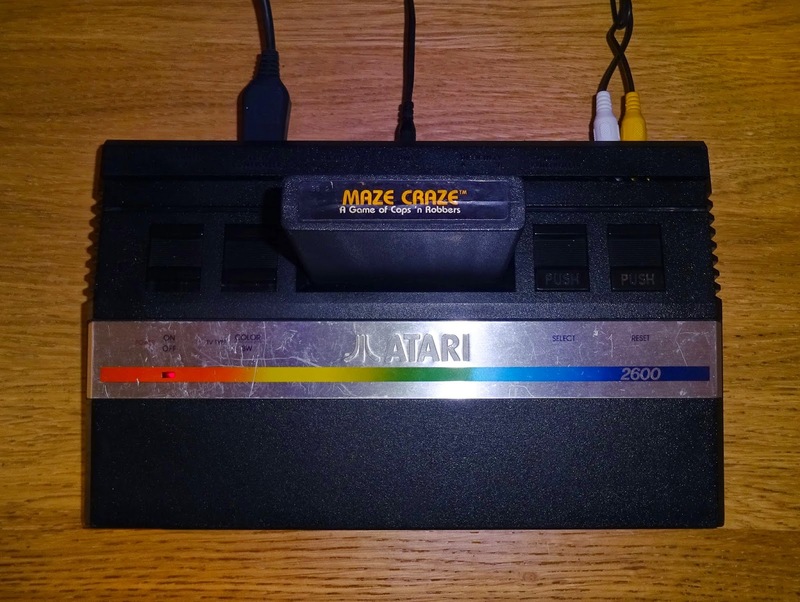 Rather than the fixed RF cable used in the 2600, there is now a phono socket on the outside of the case for the RF signal, the same arrangement used on the ZX81 and Spectrum etc. This one is faulty, doesn't turn on. This is a simple case of a dry joint on the power connector. 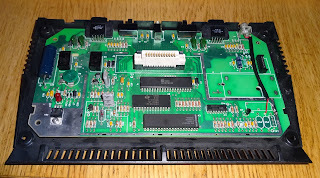 There is no ground connection from the power supply to the board. 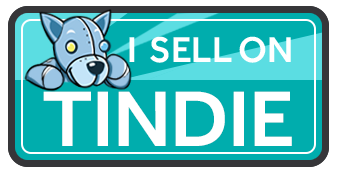 With the solder reflowed on that, it will be fine. 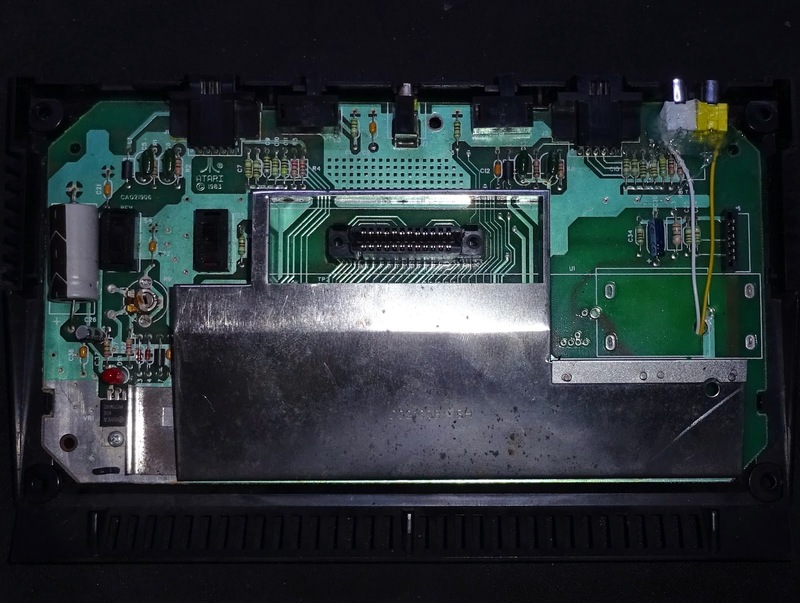 The composite video modification is basically the same, stop the audio and video being combined, route the audio to a connector, and route the video via a buffer amplifier to another connector. 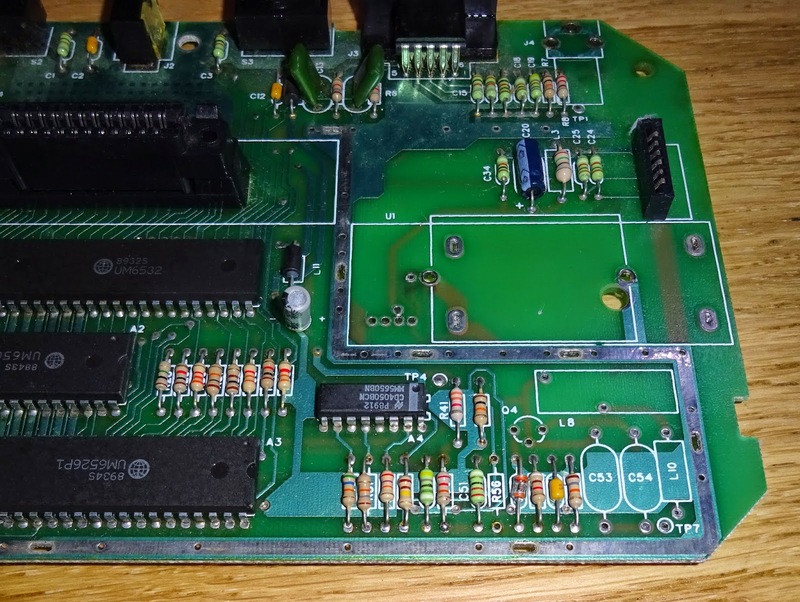 The audio / video circuitry is all on the bottom right of the board, Here, I've gone for a different approach to the previous modification, and removed the circuitry not required around the audio / video combination circuit. 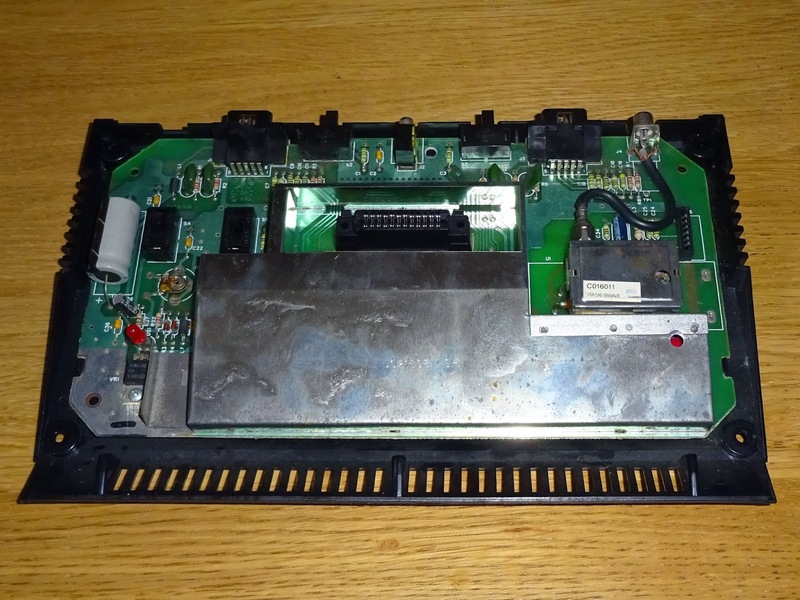 The main parts to remove are the modulator and connector, Q4 and R56, but I've also removed C53, C53, L8 and L10. This leave that area clear, and I've reused the holes to mount the new video buffer components. 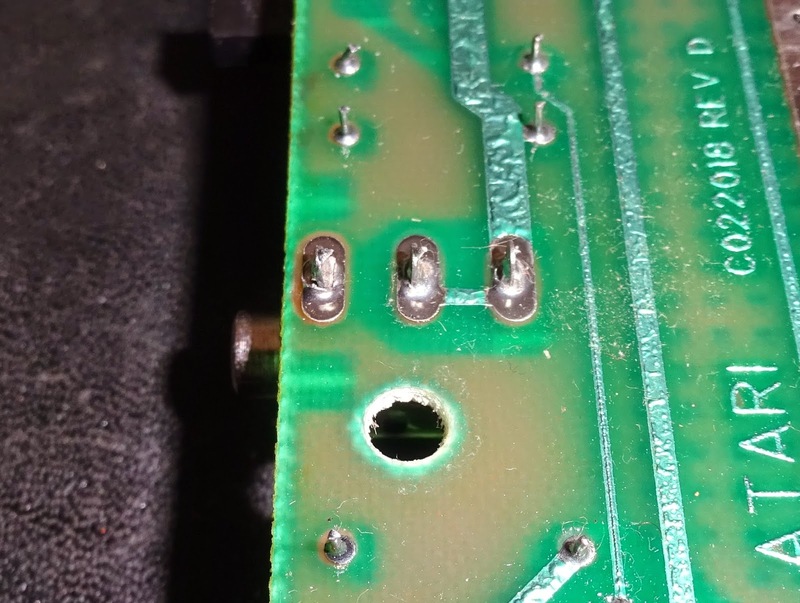 I've fitted two phono sockets in the holes used by the original RF connector, and installed a simple emitter follower video buffer. The video signal is already biased via R42, so the base of the transistor (2N3904) can be connected to that point (the top of R56). 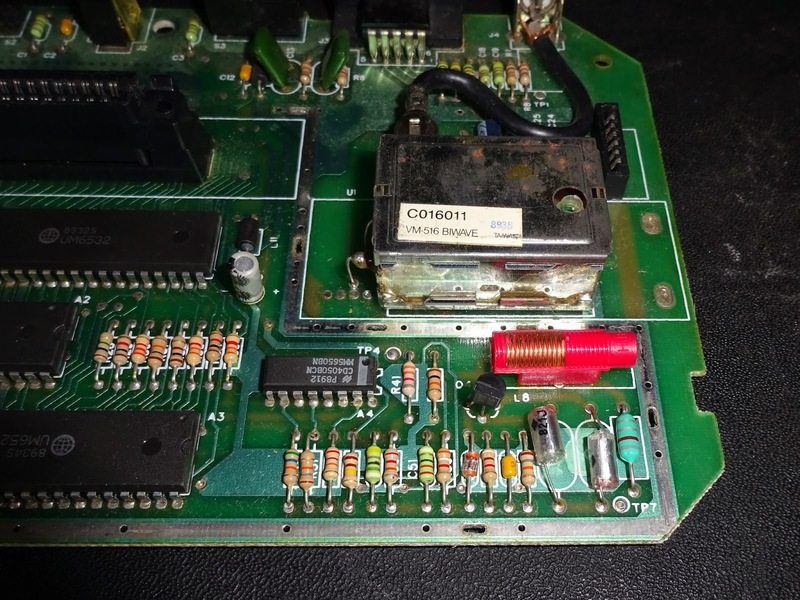 The collector is connected to 5V via the lower hole of Q4. The emitter uses the right hand hole of Q4, which is connected to the pads of C54 and L10. These have been removed, so this trace is no longer in circuit and can be reused. 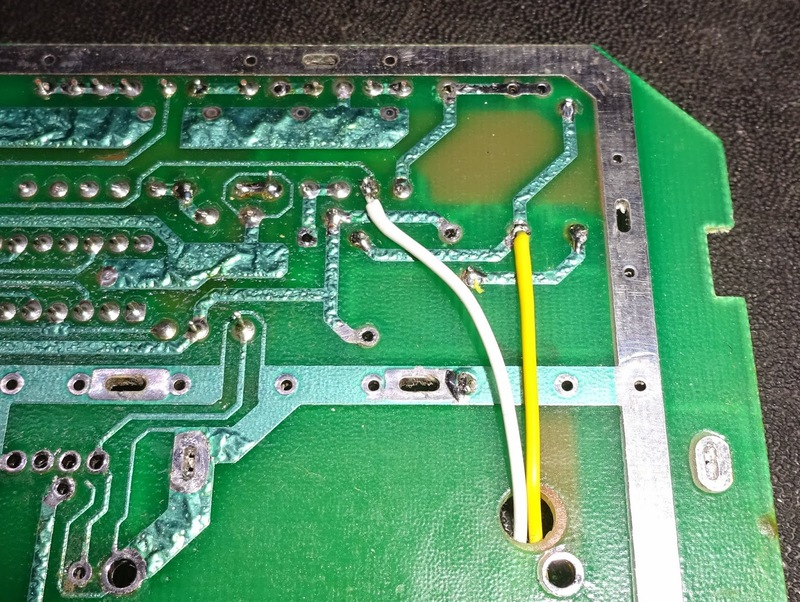 L10 is replaced with a 75 ohm load resistor to ground, and the video signal is taken from that point to the yellow socket. 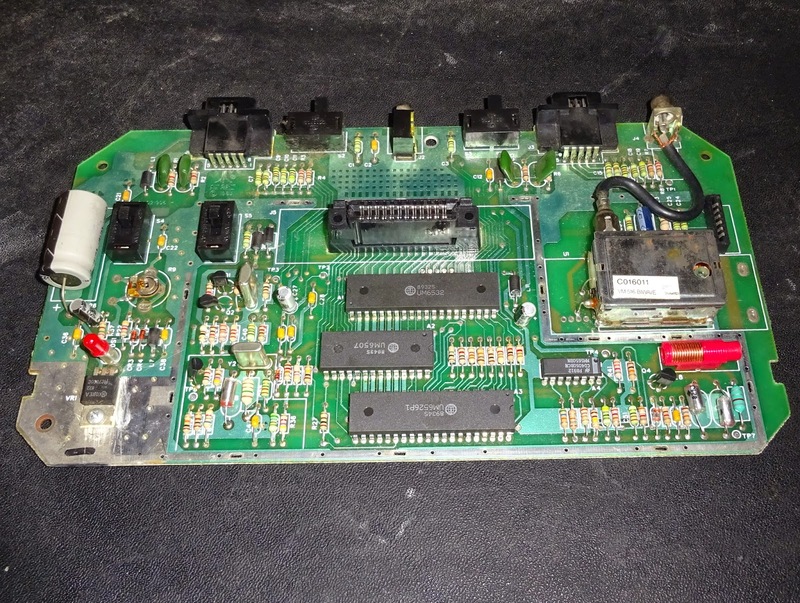 The audio is collected from the bottom of R34 or the top of C49 and connected direct to the white socket. Ground on the two sockets is taken to the thick ground trace. I've applied a little hot melt glue to hold down the sockets, and the covers fit back to cover up the rest of the mod. The original RF output hole has been enlarged to allow both photo sockets to stick out, and the mod is complete. 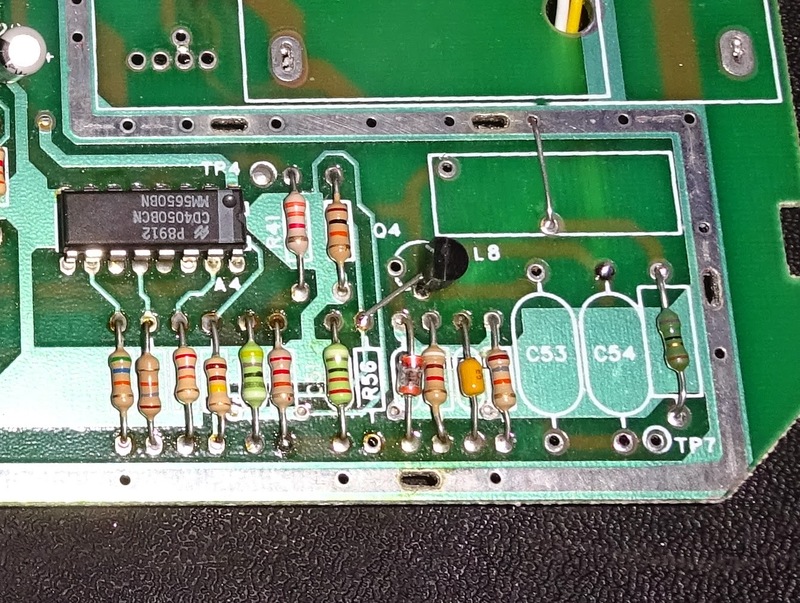 As before, the colour can be trimmed via a variable resistor (R9, middle left of the board). I've only used a single audio jack (as the PAL TIA is only mono), but you could add a second audio jack wired in parallel if there were space. 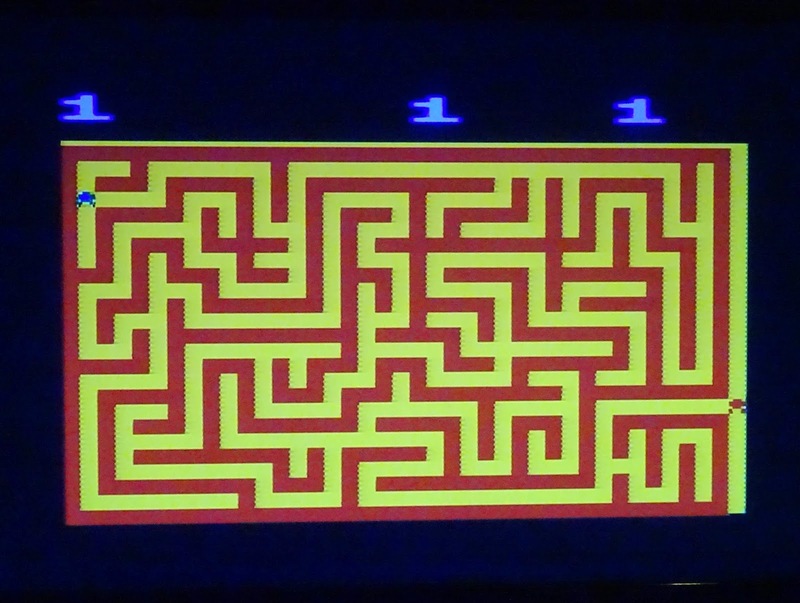 More testing required, Maze Craze this time, simple but addictive. 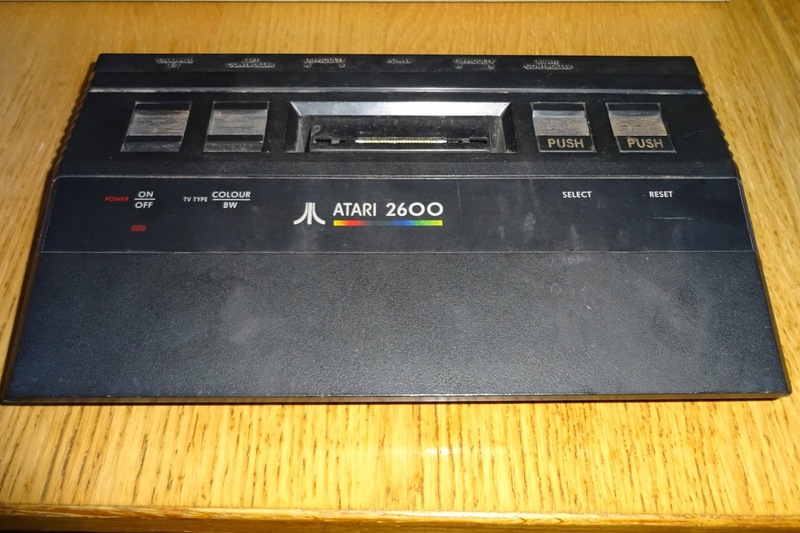 The black Atari 2600 Jr contains the same board, so the same modification will work these. 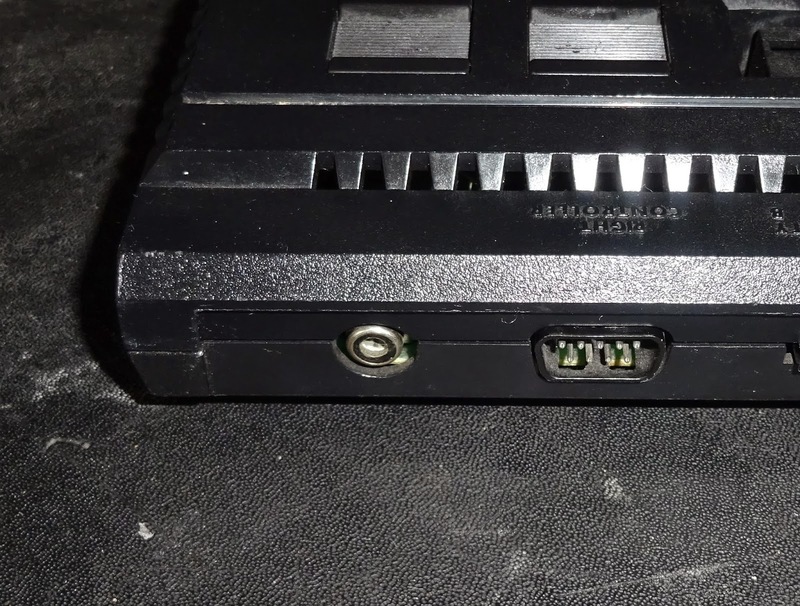 This is the simplest single socket version, just giving composite video, audio was added later with a 3.5mm jack socket.